Many who supported the GOP ACA replacement downplay estimates of higher costs. In the final weeks of the 2018 midterm campaign, Republican candidates across the country have released ads touting concerns about maintaining protections for people with pre-existing conditions, even as their party and the current administration have moved repeatedly to weaken the anti-pricing-discrimination laws. In more than 20 competitive districts from California to Iowa to North Carolina, Republicans in tight federal House and Senate races have released new television and digital ad spots that look similar to one from Rep. Steve Chabot, R-Ohio. "Steve Chabot is fighting to help reduce health care premiums by up to 30 percent and guarantee that people with pre-existing conditions have access to quality care," the advertisement states. But like many Republicans, Chabot voted repeatedly to roll back the Affordable Care Act (ACA) -- at one point co-sponsoring a 2013 bill to repeal the health care law, including protections for people with pre-existing conditions that prohibit insurance companies from denying coverage based on a previous diagnosis. Chabot also voted in favor of the 2017 American Health Care Act (AHCA), the Republican bill intended to replace the ACA. The AHCA failed to pass in the Senate, but would have eliminated premium limits on those with pre-existing conditions set under the ACA, often referred to as "Obamacare." Though those with pre-existing conditions would not have been denied coverage outright, an analysis by the nonpartisan Kaiser Family Foundation found that more than 6 million people who fall into that category would likely face higher premiums and surcharges under the Republican plan. “Republicans have voted consistently to protect those with pre-existing conditions and Democrats saying otherwise are not telling the truth,” said National Republican Congressional Committee spokesperson Matt Gorman, in a statement to ABC News. Democrats argue that the claims in the Republicans' ads, including Chabot's ads, are misleading. While the AHCA would have prevented insurers from limiting access to those with pre-existing conditions, the increasing costs could have unintentionally forced many off their plans anyway, health care experts warned. Several others have made similar claims in interviews and debates, according to ABC News research. But when his health care issue statement pivots to note that his supported legislation “guaranteed coverage with pre-existing conditions,” it says nothing of the associated projected cost increases. “The goal of the Republican plan is to bring insurance premiums down,” wrote Chabot in a May 2017 blog post. 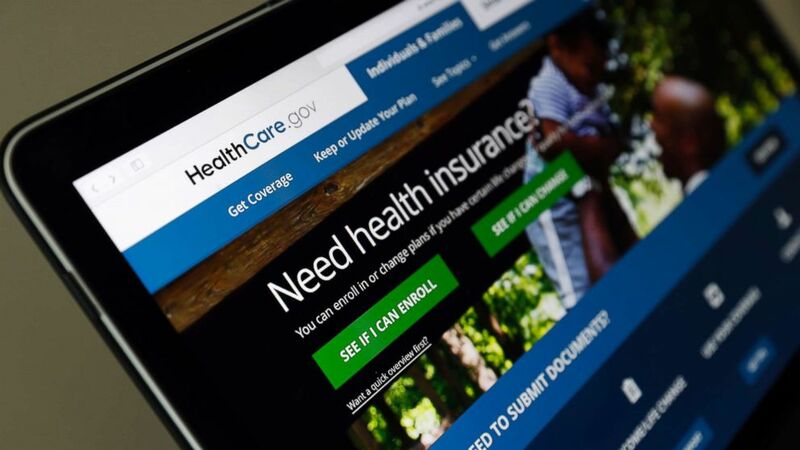 (Alex Brandon/AP, FILE) The Healthcare.gov website is seen on a laptop computer on May 18, 2017 in Washington, D.C. In addition to legislation in Congress, the Trump administration, too, has made it easier for insurance companies to discriminate against people based on medical history. One such action includes a move to extend the sale of short-term insurance policies, specifically limited by the Obama administration. The short-term plans are not subject to the same regulations and requirements as other, longer-term insurance plans, meaning that not only can those with pre-existing conditions be denied access to these plans outright, but by taking people without previous medical diagnoses out of the larger market, those with conditions who need more fulsome insurance will likely see a hike in their rates. Republicans argue that the changes are acts of deregulation, intended to wrest control of the industry from the federal government's hands and allow for more competition. “Restoring consumer choice... would provide more affordable alternatives and allow for consumer options in the event individuals in that market develop illnesses,” wrote a group of 35 Republican senators, led by Sen. Ron Johnson, R-Wis., in a letter to Trump Cabinet officials this summer encouraging the change. Earlier this month, Democratic senators forced a vote to try and stop the administration from expanding the sale of these short-term plans, but the proposition failed in a 50-50 vote along party lines. Sen. Susan Collins, R-Maine, was the only Republican to vote with Democrats on the issue. According to the latest ABC News/Washington Post poll, 82 percent of Americans consider health care to be a top-tier issue for them this election cycle, and by a margin of 53-35, voters say they trust Democrats more on the issue. The Trump administration also supported several states this year in a lawsuit filed against the federal government claiming that parts of the current Obamacare law are unconstitutional, including, specifically, the protections for people with pre-existing conditions. (Jeff Roberson/AP Photo) In this Sept. 27, 2018 file photo, Missouri Attorney General and Republican U.S. Senate candidate Josh Hawley speaks to supporters during a campaign stop in St. Charles, Mo. 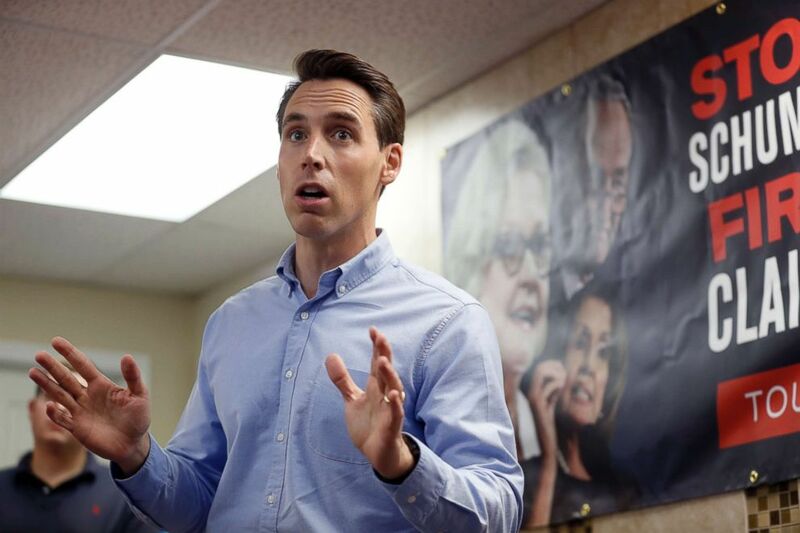 Josh Hawley, the current attorney general of Missouri and the state's Republican candidate for Senate, is one of 20 GOP state officials who joined a federal lawsuit earlier this year that could end Obamacare and those protections. Hawley, like many Republican House candidates, has come under considerable attack this month for a last-minute health care ad that shows him with his family. "Earlier this year we learned that our oldest [son] has a rare chronic disease, a pre-existing condition. We know what that is like," Hawley says in the ad. "I support forcing insurance companies to cover all pre-existing conditions." The ad prompted some rebukes when it first aired. "Republicans have never lacked for chutzpah, which is what it takes to file a lawsuit intended to take away protections for pre-existing conditions, and then run a soft-focus ad about how committed you are to protecting those with pre-existing conditions," Washington Post opinion writer, Paul Waldman, wrote last month. Hawley, like some other Republicans, has argued that protections for afflicted groups and the continued enforcement of the ACA are not mutually exclusive. “We don’t have to have Obamacare in order to cover people with pre-existing conditions,” Hawley told reporters as he defended the balancing act on a press call earlier this month. He added he had no regrets about being a part of the lawsuit.